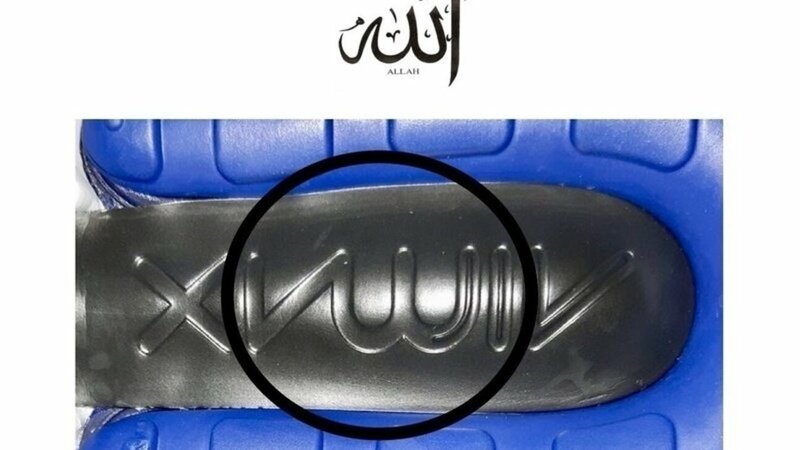 You wouldn’t be reading something like this for the first time; a famous international brand that has ‘Allah’ written on it in a derogatory manner. Videos with claims and proof such as this circulate on Facebook and YouTube every now and then, making Muslims furious for all the right reasons. This time, it is the famous American sports gear brand Nike which has made Muslims all over the world pretty furious. 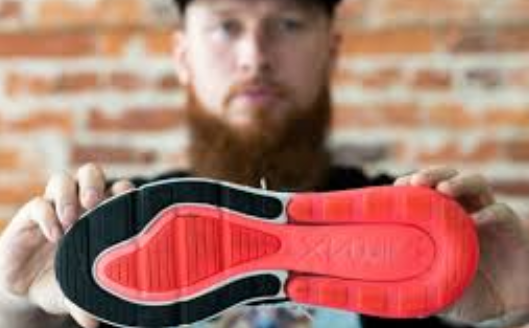 The multi-million company has caught a lot of negative attention because of the logo made at the soles of the AirMax 270. 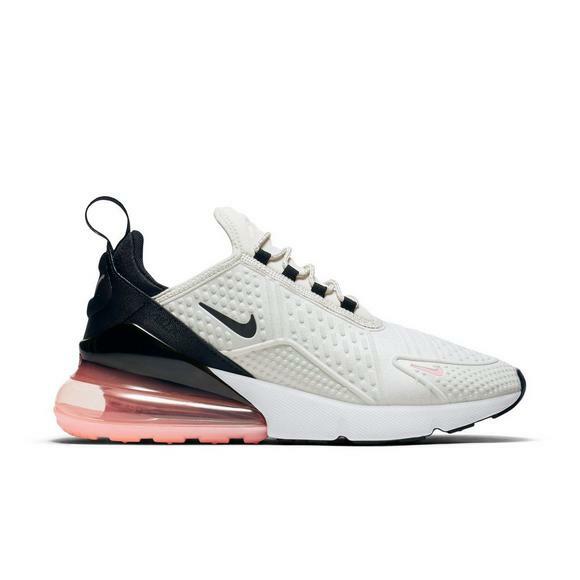 Here’s the Nike AirMax 270! The brand launched them in various colors for both men and women. While they look pretty okay as footwear, what’s alarming is the sole of the shoes. Seems similar to how we write Allah in Arabic and Urdu, right? It has caused an outrage by Muslims who believe Nike should pull off their AirMax 270 from production and store. Some Muslims on social media claimed that the design just looks like AirMax written in a fancy way. The international news outlet covered this as back in the 1990s, Nike did something similar by making the ‘fire’ design on their shoes. It created an outrage then, it created one now. 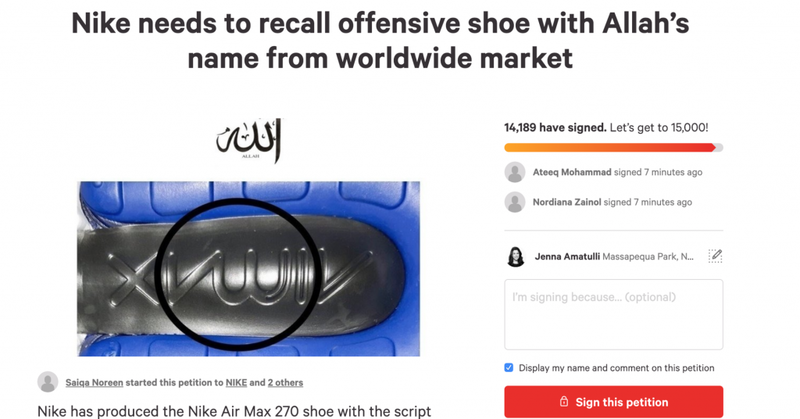 Nonetheless, the right apology would be the one where Nike removes the items and truly considers the sentiments of Muslims.